Nestled in the valley of the River Nanny, Julianstown’s new Gastropub, The Lime Kiln opened in 2015, after extensive refurbishment. Offering exciting pub food & specially selected craft beer. Located in the village of Julianstown, in the east of County Meath, 7km south of Drogheda and 35km north of Dublin. Lime kilns are structures in which limestone rock was burnt at a high temperature to produce lime dust. This dust was then used to spread on grass land or used to make bricks. Lime kilns once common features of rural landscapes throughout Ireland in the 18th, 19th and 20th centuries were at their time a sign of economic prosperity. In fact almost every village like Julianstown could boast of at least one, now most kilns have now been destroyed or have faded into the landscape. We are fortunate to have three here locally on the Ballygarth estate with one only a few yards from our Gastropub location on the banks of the River Nanny. We are delighted to welcome you into our home, serve you in the best way we can and we hope you will accept our warmth and hospitality with the generosity and sincerity it is given. We are very proud of what we have created here and proud to put the heart back in our local community. We are extremely proud to be part of the Boyne Valley Tourism Network which celebrates the history, heritage and people of the Boyne Valley. 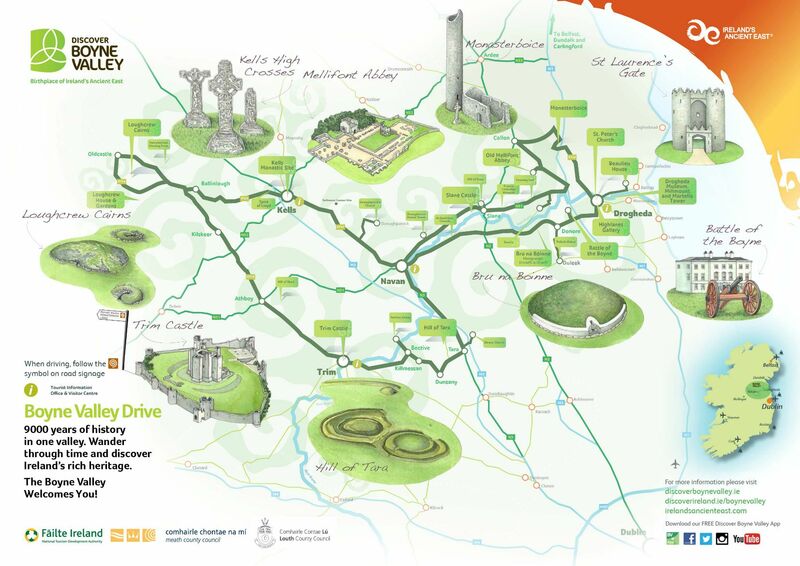 On your next journey of discovery through The Boyne Valley, take time to sample the terrific food and drink on offer from craft producers and local food champions such as The Lime Kiln Gastropub.